Head lice are now becoming resistant to common over-the-counter insecticides. A new study took samples of 109 lice populations across the U.S. and found that 104 of them had resistant-linked gene mutations. Specifically, the study looked at resistance to pyrethroids, the active chemical in most over-the-counter lice removal products. The common brand names are “Nix” or “Rid.” Pyrethroids work by paralyzing the insects’ nervous system. Since the 1990s there has been some awareness of lice becoming resistant to the chemical, which is called knock-down resistance (KDR). In the study, lice populations were measured in 30 states. In 25 of them, resistance was present. In California, Florida, Maine, and Minnesota, all of the samples taken showed the KDR gene mutations. This development is not entirely unexpected. KDR lice follow the same principle as antibiotic-resistant bacteria. There are genetic mutations that protect some bacteria or lice from the treatments designed to kill them. It’s just a matter of time until these survivors reproduce and spread enough to have a noticeable presence. On the bright side, KDR lice are far less problematic than antibiotic-resistant bacteria. No one has ever died of head lice, for instance. 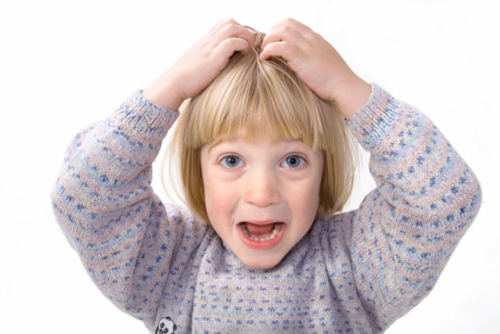 Another key difference is that there are still treatments available for head lice that don’t involve pyrethroids. More advanced (but expensive) insecticides exist for treating lice that don’t use pyrethroids. It is also impossible for lice to develop a resistance to nit combs. Although the existence of KDR lice has been confirmed, it remains to be seen just how widespread or problematic the current level of resistance is. Parents are advised not to give up on over-the-counter treatments just yet. The study was presented on August 18 at the American Chemical Society meeting. It has yet to be evaluated independently for publishing in a peer-reviewed journal. Chosidow, O., et al., “Controlled Study of Malathion and D-Phenothrin Lotions for Pediculus Humanus Var Capitis-Infested Schoolchildren,” The Lancet December 24–31, 1994; 344(8939-8940): 1724–727, http://www.ncbi.nlm.nih.gov/pubmed/7997000. Firger, J., “Lice Are Becoming Resistant to Treatment,” Newsweek web site, August 19, 2015; http://www.newsweek.com/lice-are-becoming-resistant-treatment-364075. Storrs, C., “Mutant lice are probably coming! But first, the hype,” CNN web site, August 19, 2015; http://www.cnn.com/2015/08/18/health/mutant-lice/index.html. “Super head lice warning as scientists discover almost all species are resistant to treatments,” The Telegraph web site, August 18, 2015; http://www.telegraph.co.uk/news/health/news/11810582/Super-head-lice-warning-as-scientists-discover-almost-all-species-are-resistant-to-treatments.html.